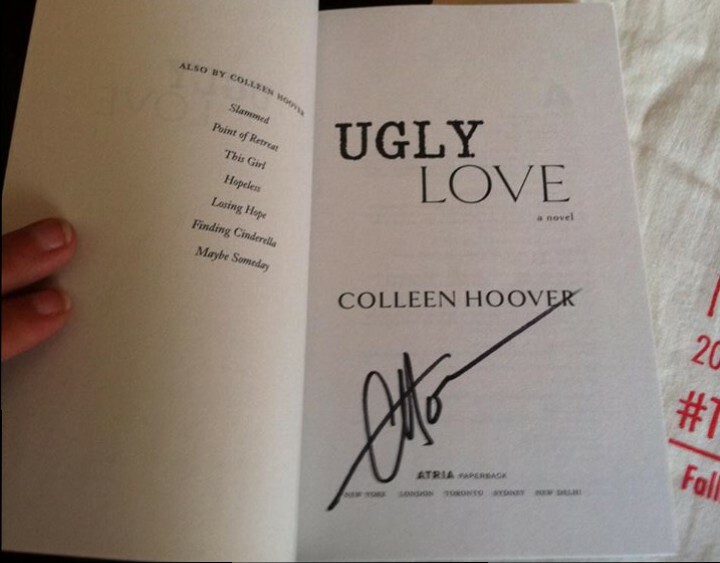 Vi and I got to go to the Atria Falling in Love tour and I snagged a copy of Ugly Love and got it signed for one of our lucky readers! 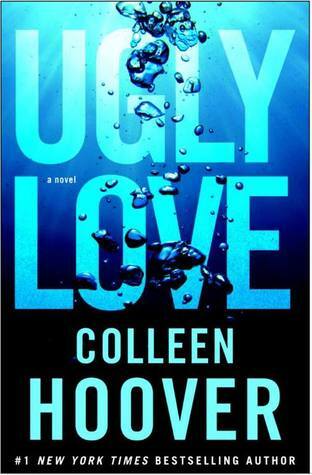 This is Colleen Hoover’s latest release which was on the New York Time’s Best Sellers list. To enter the giveaway just comment on this post with how much you love CoHo and if you haven’t already go like us on Facebook! The contest will stay up for a week until the 18th at 5 PM EST. 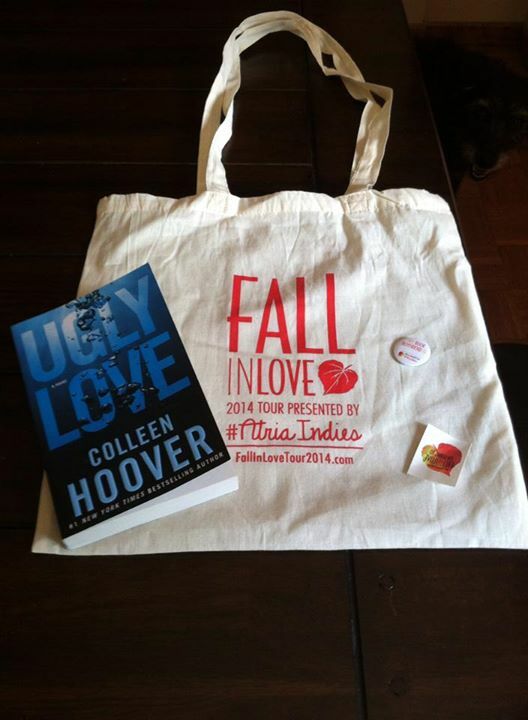 You will win the signed book, a nice thin canvas bag and an Atria book boyfriend pin. First things first – this will NOT be a spoiler-ific review. Mainly because the release is very close and I don’t want to ruin it for anyone who has made it this far waiting! I am a bone fide Colleen Hoover fan. I’ve read her previous releases, followed her blog and even got to go to a signing last year. So when she announced this book and CD combo experience I was intrigued but hesitant. Hesitant because I’m a book nerd, not so much a music nerd. But as a CoHo fan I had heard of Griffin Peterson, and liked what I heard so I was open to it. 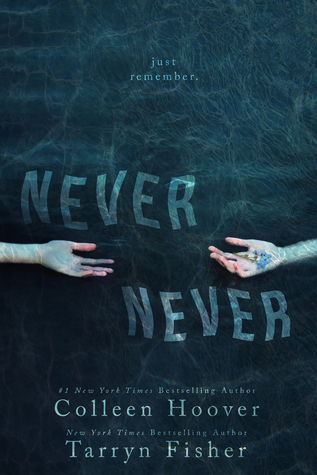 I got my hands on an ARC of the book early last week and then the music released a little later in the week, yay! So, while I am definitely not a music critic, I am going to give my opinion of the book, the music and the experience of both together (without spoilers). 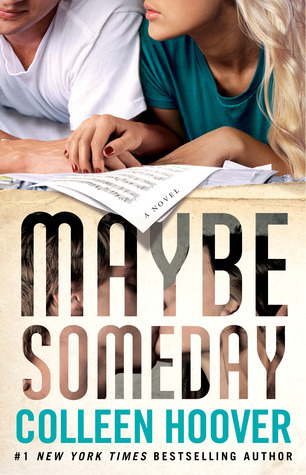 Sydney Blake is in college, living with her best friend and in love with her boyfriend, Hunter. She’s an aspiring musician so when she’s on her balcony of her apartment she catches herself listening to her neighbor, Ridge’s, beautiful guitar playing. Daily. Sydney finds herself drawn to his harmonies without knowing why. When she discovers Hunter is cheating on her with best friend and roommate, Sydney has no idea what to do or where to go. But somehow Ridge is part of that answer. I found this book to be refreshing and unique in some ways because of the honesty there was in almost every aspect of the book. The cheating that was discovered was very early on in the book and Sydney spends the rest of the book convinced to not ever become a “Tori” – the name of her friend her ex cheated on her with. I loved how she dealt with the situations she found herself in, she never compromised herself or her beliefs. But while I loved her, I loved Ridge even more. He has impossible decisions to make and consequences to think about, yet I always respected him. How ever, I’ve learned that the heart can’t be told when and who and how it should love. The heart does whatever the hell it wants to do. The only thing we can control is whether we give our lives and our minds the chance to catch up to our hearts. The music aspect of this book was beautiful. Usually the closest a reader can get to music in a book is lyrics, which we get here of course. (And I completely love those scenes FYI). But for the first time there is also actual music too! Griffin Peterson partnered up with Colleen and released a CD to go with the book. I’m in love with all of the songs and they all go really well with the book. I also love the songs outside of the book because it reminds me of certain scenes when I’m listening. The only issue I had with the music was when I was reading I had an issue with stopping reading completely to listen to the whole song because I was so impatient to finish the book. But I got over that. My favorite song is the one with same name as the book. So combine a really great storyline that had multiple surprises that I did not see coming with really great music and excellent characters who I love. I loved the relationships – there are some hilarious dialogue and great pranks happening throughout the book. I highly recommend you read this book AND listen to the music because you really can’t do one without the other. It would be like milk without cookies or peanut butter without jelly, just not right. I received the ARC of the book on behalf of the Publisher via Netgalley in return for an honest review.